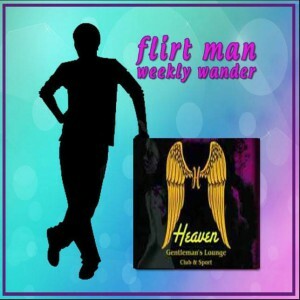 Flirtman has been to Heaven Gentlemens Club a few times since it opened back around November time. I thought now was an appropriate time to give the place a try on my own and scope it out on a private visit rather than business. Knowing the venue does numerous events during the week to attract customers, I decided I’d try the free food BBQ on the Tuesday. First impressions on this place are good. The entrance in through the door is a welcoming surprise, with a good number of lovely ladies all sat in the foyer entrance with a happy ‘Wai’. With golden drapes hanging from the ceiling and covering the walls you get the feeling you may actually being walking into something that is going to cost you more than you budgeted for. Once up the stairs and into the main seating area, the feeling lightens. Comfy sofas, high tables, a large swimming pool and terrace area, and plenty of very attractive hostesses scattered around. I was approached immediately with the thoughts of other venues where you get hounded for lady drinks and the like. I was asked what I wanted and the drink was served. Asked if I was in need of any company, which in my opinion is a must in these places, I was happy to oblige. The staff here are very friendly and not pushy at all. My beer was ice cold, just how I like, and the company alike. We had a good chat and we were joined by some ‘friends’ who likewise weren’t pushy and asking for drinks, eventually I felt obliged to offer. The prices are fair at 105 THB free each lady drink. Knowing that once my ‘bin’ was 350 THB and the food becomes ‘free’ I got stuck in. There’s a good selection of chicken, beef, bread rolls, rice and much more. The food was tasty and well appreciated after a few beers. Good grub. This venue is laid out well. I like the fact there are a few different seating areas, with the bar area, the main area I was seated at and one more secluded area at the far end of the pool. There were a few locals in the pool which was surprising, and after asking apparently this is a regular thing and many guys and girls take to the water. So if your looking a good afternoon where you want to relax, have a ice cold beer, sit in the Jacuzzi with some good looking company, I could safely recommend the Heavens Gentlemens Club.